Spring has sprung – there is beauty to behold everywhere…everywhere that isn’t already covered in pollen, that is. Along with the pretty flowers of this warmer season come the dreaded excess of pollen and an abundance of allergy triggers. 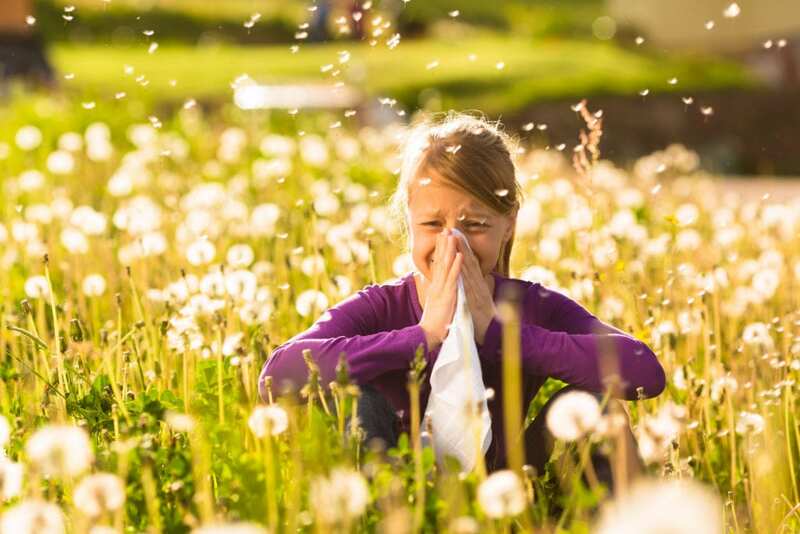 Here are five ways to help you survive the season of allergies so you can go outside and enjoy Mother Nature the way it should be done. 1. Plan around pollen levels. Use an app on your phone or go online to check daily pollen counts and forecasts. When pollen levels are high, which is from 10AM-4PM, try to stay indoors as much as possible. If you need to go outside for an activity, try to plan it for early morning. 2. Clean your home. Keep windows closed during the day, despite how tempting it is to let the fresh spring air inside. Wash your curtains often, mop your floors, and vacuum carpets on a regular basis. Vacuums that have a HEPA (high-efficiency particulate air) filter are great for minimizing the number of allergens in your home. 3. Keep yourself clean. After finishing all outdoor activities, wash your clothes (or at least put them in a laundry basket to be washed later), then take a shower/bath and wash your hair. This keeps allergens out of your home as well as out of your bed later on when you go to sleep. 4. Keep your pets clean. Dogs and cats can carry pollen and mold on their coats. Bathe and groom on a regular basis to minimize the presence of allergens, especially if your pets stay indoors. If your pet mainly stays outside during the day but comes inside during nighttime, try to keep them out of your bedroom as much as possible. 5. Know what triggers your allergies. You can keep a diary to log all of your activities, including the time of day when your allergies flare up, what helps ease them, etc. This will help your doctor identify what irritates your immune system and how you can help manage symptoms.